The Brewer’s Plate returns for its fifth annual celebration of local sustainable food and beer in a spring feast that will benefit Toronto based charity, Green Thumbs Growing Kids (GTGK) http://www.kidsgrowing.ca/, held at Roy Thompson Hall on April 18th. This year’s Patron is celebrity chef Jamie Kennedy, who has been involved with the event since it began in 2008. 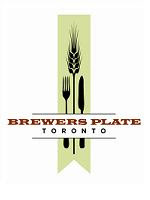 Over the years The Brewer’s Plate has built an enviable reputation as one of the first and foremost locavore celebrity events in the city showcasing outstanding Ontario chefs whose dishes are charmingly paired with local craft brews. The event is rooted in slow food principles and uses local sustainable produce created with agricultural methods that promote and enhance biodiversity. The result is a rich and complex local feast that deliciously demonstrates the viability of import substitution. Green Thumbs Growing Kids is an award winning organization which offers food growing and environmental education programs to inner-city schools and park sites reaching over 3,000 children each year as well as youth and adults. Their school gardens are about kids and their grownups, plants and their people - from all over the world! Proceeds from this event will help GTGK expand to serve more children, in both official languages. “We chose Green Thumbs Growing Kids as our 2012 beneficiary because working with children is fundamental to transforming the way we source our food in the future”, states Brewers Plate Toronto organizer Chris Lowry. “Green Thumb's work builds community through food production and education for healthy living, and we couldn’t think of a better charity to partner with this year”. Last year’s beneficiary was local charity, Not Far From The Tree, who pick fruit from hundreds of trees in the city, and then split the bearings between the volunteers, the homeowners and various food shelters. “Proceeds from last year's event helped expand our programs into Scarborough for the first time”, states Executive Director Laura Reinsborough. “The Brewer's Plate support enabled us to connect the dots between an abundance of local fruit and those in need”. The Brewer’s Plate features dishes from chefs Brad Long (Cafe Belong/Veritas), Mark Cutrara (Cowbell), Aaron Joseph Bear Robe (Keriwa Café), Brook Kavanaugh (La Palette), John Robertson (The Big Carrot), Marc Breton (Gladstone Hotel), Lori Kirk (Ruby Watchco), Michael Abbot and Matthew Dunbar (Grapevine Catering), and Karen Vas (Rebel House). The highly skilled Craft Brewers offer an extraordinary variety of beers, from Beau’s, Black Oak, Cameron's, Dennison’s, Great Lakes, Mill Street, Nickel Brook, Steam Whistle, StoneHammer, Railway City Brewing, Grand River, Muskoka, Lake of Bays, Neustadt Springs, Amsterdam, King Brewery, Granite, Spearhead and Wellington. Guests can also enjoy a glass of wine from Ontario’s first biodynamic Winery, Southbrook Vineyards. Applewood Farm Wines, who offer fruit wines with ingredients from their neighboring Stouffeville fields, will also be available. Remarkable local food artisans include Oyster Boy, Vert Catering, Buddha Dog, Monforte Dairy, Chocosol, Magical Catering, Ninutik Maple Sugar, LPK Culinary Groove and On the Side Chutney. There will be several musicians playing on two stages throughout the evening. The beautiful round space of Roy Thompson Hall will act as a circular street, with wide corner 'piazzas' featuring 'street entertainers' as well as musicians and singers around Glen Gould's grand piano.